What is MLM Attraction Marketing? And how does it work? One of the hottest concepts in network marketing in 2013 and beyond is attraction marketing. If you do an internet search, you will find tens of thousands of network marketing blogs all praising attraction marketing. Obviously, attraction marketing is a smart idea, IF you know what you are doing. Although the principles of MLM Attraction Marketing make sense, very few people achieve success and build a large sales organization using attraction marketing. It can be done, but most people don’t get the results they want with attraction marketing. In my opinion, the reason this happens is that very few people can find creative ways to be different from everyone else. Most people follow the exact same approach as everyone else. What I mean by that is most people teach network marketing tips on their blog or website, but most people talk about the same subjects and ideas. Rather than be unique, they play it safe and copy everyone else. This creates an endless flood of competition and makes it harder to rank high in the search engines. Rather than having a blog that talks about everything, why not have a blog or website about a niche within the network marketing industry? I think this would help you achieve better results, in a shorter amount of time. One common mistake using MLM Attraction Marketing is people who fake their success. Personally, I think it’s wrong to mislead your visitors about your success. Rather than coming across as a know it all, why not keep it real with people? In other words, you should be honest with your prospects and website visitors. Just be honest and genuine and follow the golden rule. Another major problem with MLM Attraction Marketing is that most people don’t stick with it long enough to succeed. To really succeed, you need a written game-plan, a mentor, a willingness to work, and the ability to persevere. Even if you are good at what you do, it will probably take you several years to succeed with MLM Attraction Marketing. It definitely won’t happen overnight. I’ve been going at it full-time for almost four years and I am just now really starting to figure things out. In conclusion, MLM Attraction Marketing is a great strategy to grow your network marketing business. Your key to success is to differentiate yourself from everyone else online and find creative ways to reach your target audience. 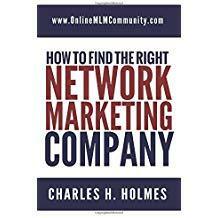 The best way to do that is to pick a narrow niche within the MLM Industry and become an expert in that specific niche. Simply put, you must position yourself as an expert and attract others into your business. What are your thoughts about MLM Attraction Marketing? What tips can you recommend? What mistakes do you think others should avoid? Leave a comment and let us know. I think that this system could work if as you stated in the post one is creative enough to be different from all the rest of the folks out there right now. If you can educate people in a niche market and lead them to your products that could benefit you more than just educating them the same way everyone else is. For instance, if you sell Mary Kay you may want to have a blog or YouTube channel around make up looks. Then give information on how people can contact you. Or you can connect that to another blog you have about MLM info. People that log on to one may also be interested in other topics you have as well. That is exactly the strategy people should follow. I can’t think of very many products that are MLM. Diet supplements, cleaning products, that’s aboutit. As common as this type of marketing sounds, that surprises me . Do I have my head under a rock? Which are the products to stay away from? And the ones with the biggest track records? The concept of attraction marketing is new to me. From what I am gathering, it is best to focus on one small area within MLM and garner sales/growth from there. Chuck, am I correct in this assumption? Any additional information you can give me would be of benefit. I am specifically interested in the capture page and how to use that within attraction marketing. I really like how this article is geared towards elaborating on addressing the problems on the Attraction Marketing System. By addressing issues people might have with this system, solutions can be established in making their business successful. I think this system is great as along as the people who operate it know how to differentiate themselves from the competition. I have to agree, 100%, with the point about not being a know-it-all. I frequent several blogs, each of them very niche-specific. It’s so much easier to find something relevant to your problem when the entire blog is dedicated to your problem! Attraction marketing would definitely be more effective when niche-specific. That’s a great definition, Aaron.